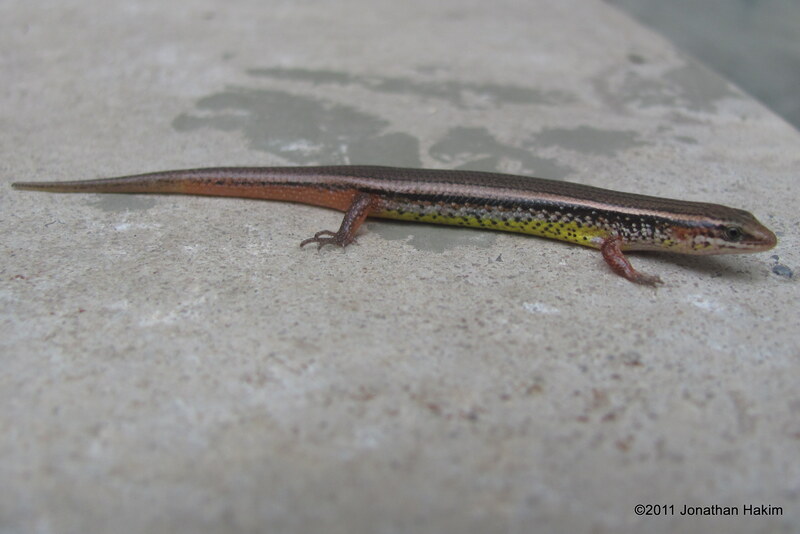 Description: To 36 cm long. 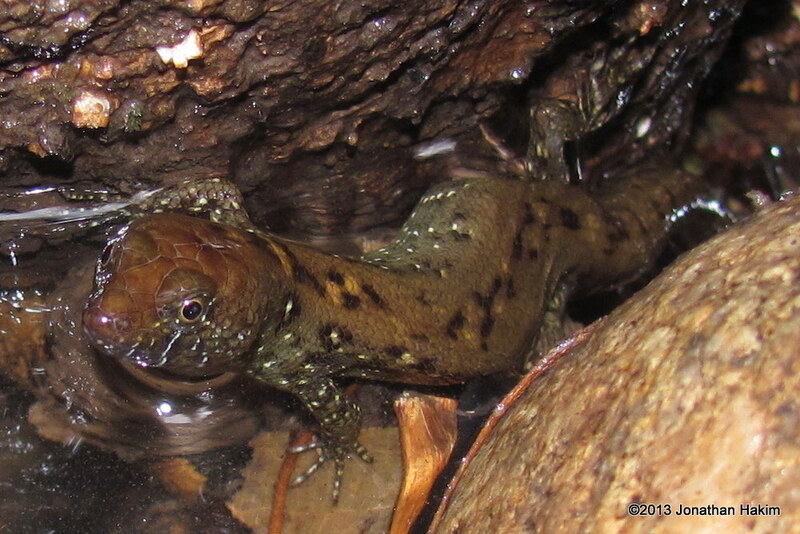 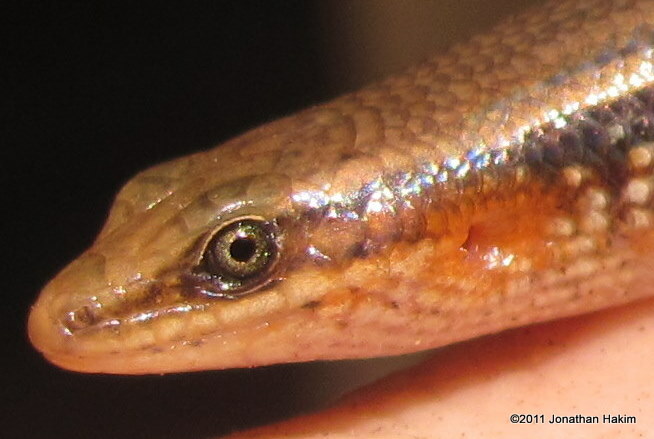 Snout to base of tail is up to 8 cm. 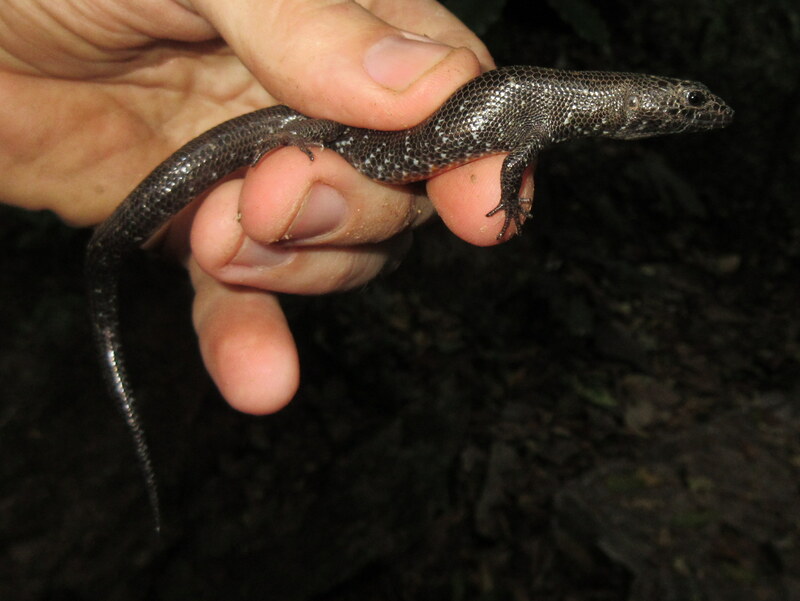 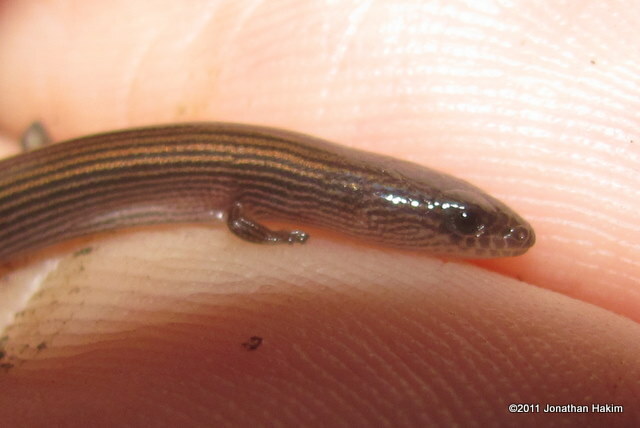 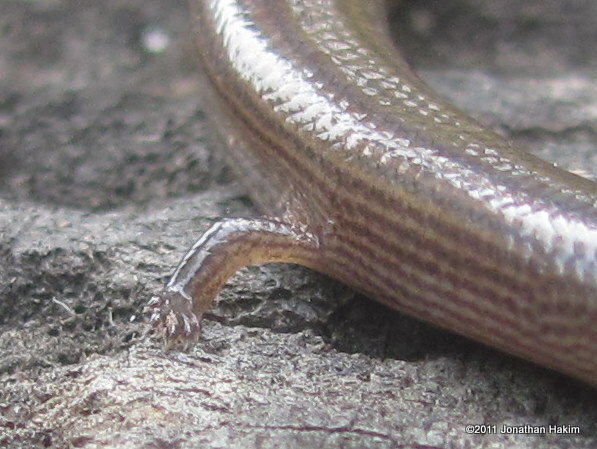 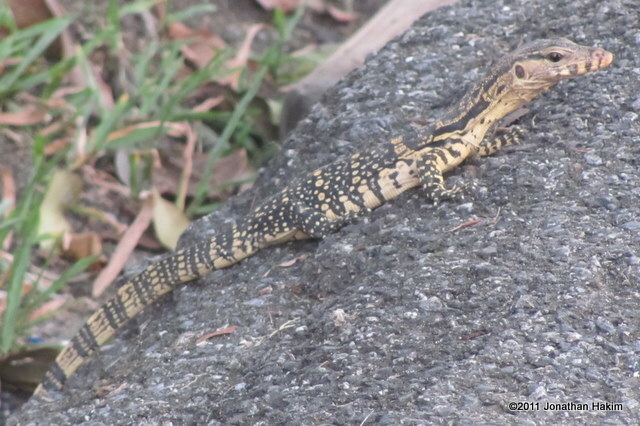 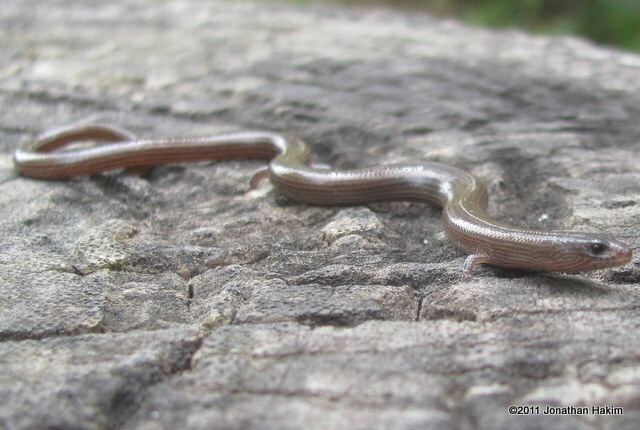 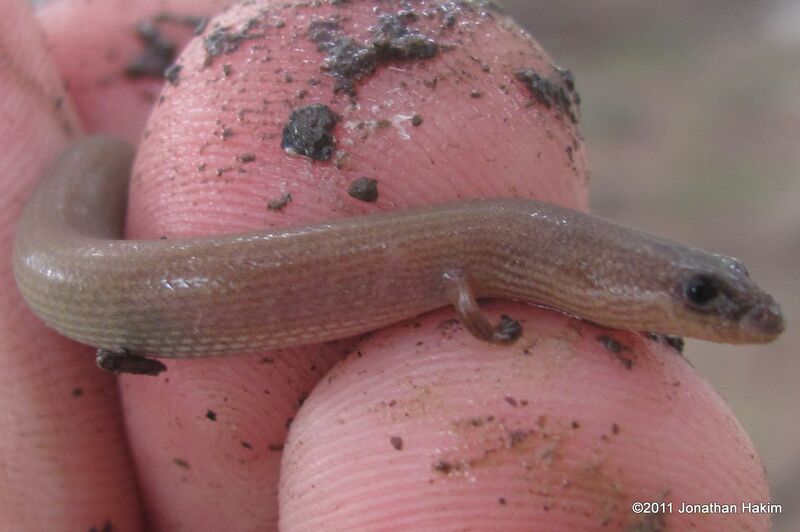 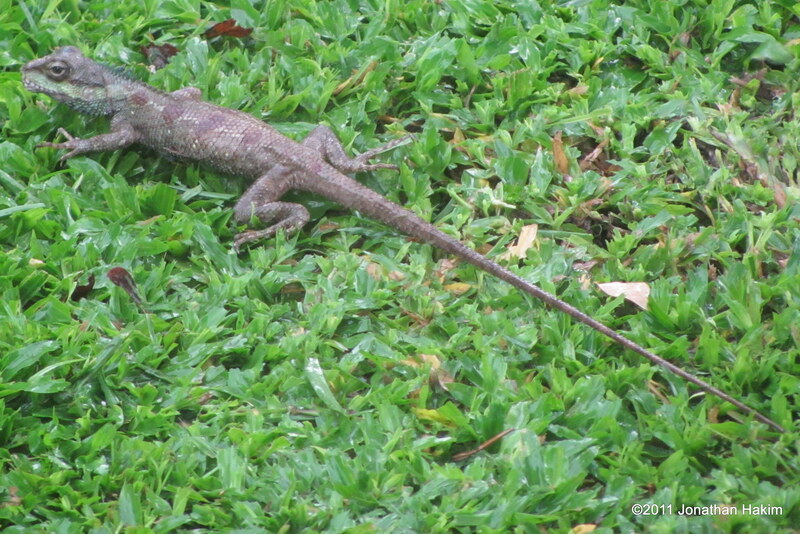 A small slender lizard with an extraordinarily long tail. 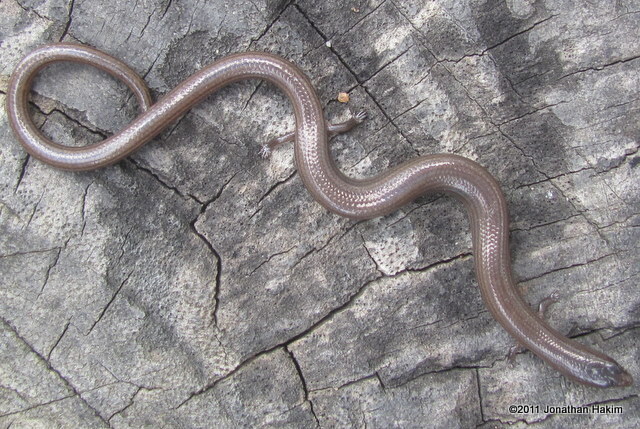 Body is brown with cream line on each side. 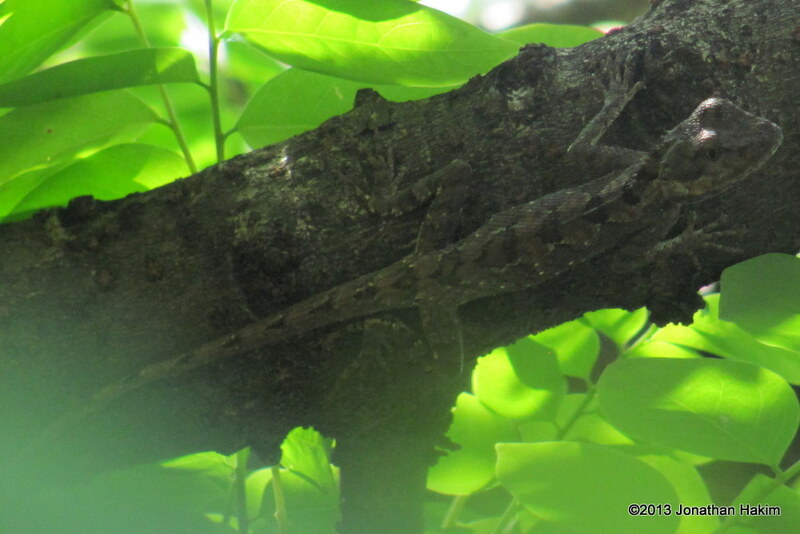 Sides are darker than the top of body and have scattered cream speckles. 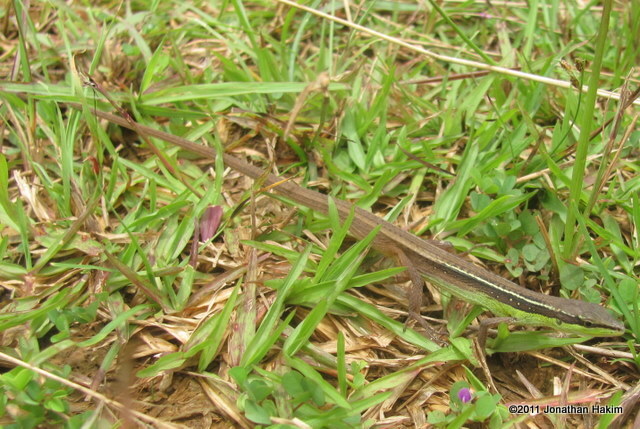 Front lower part of body is usually greenish, fading towards light brown by the back legs. 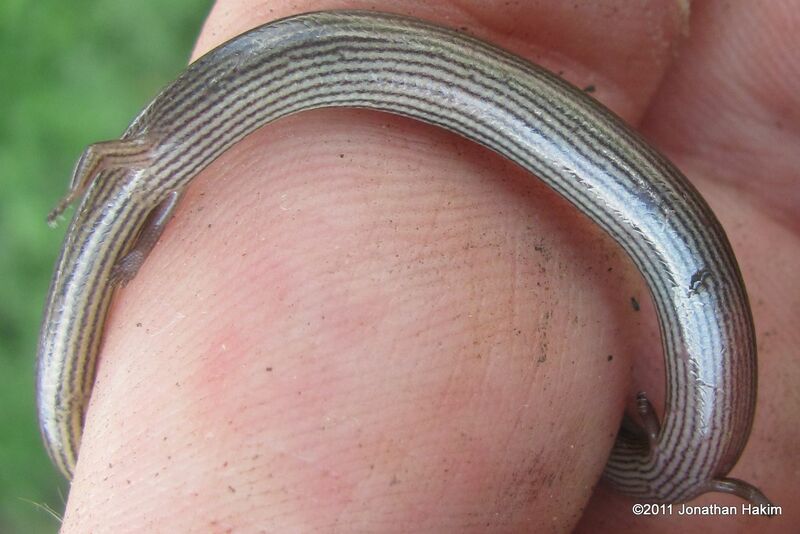 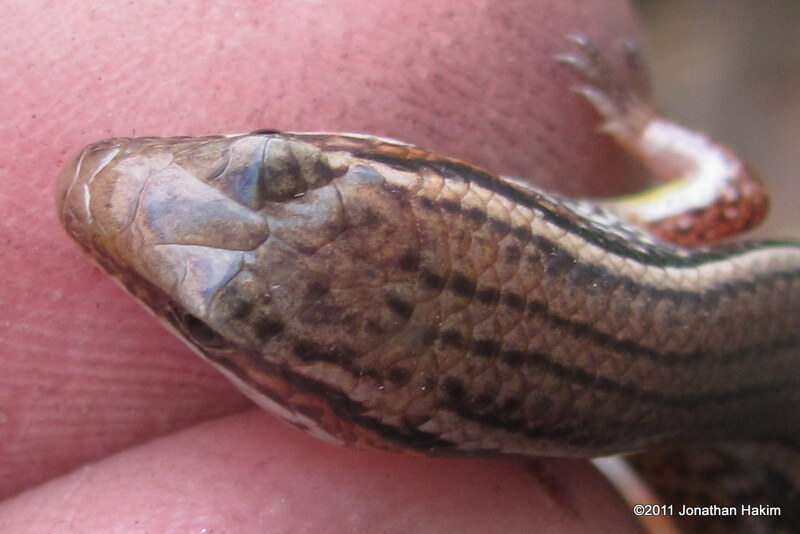 Head is distinct but narrow and has the same color pattern as the body. 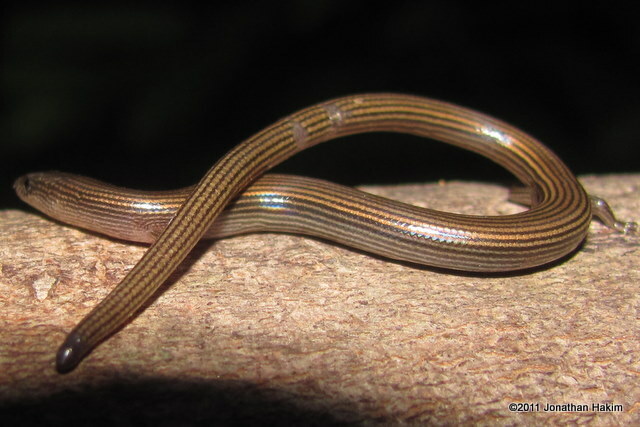 The original tail can be incredibly long, more than three times as long as the body, and is light brown. 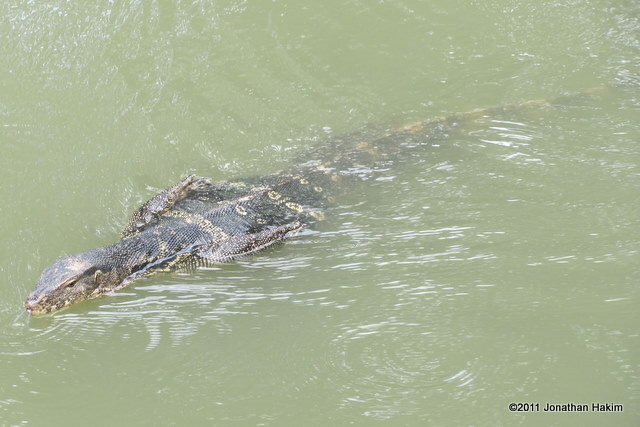 Underbelly is pale. 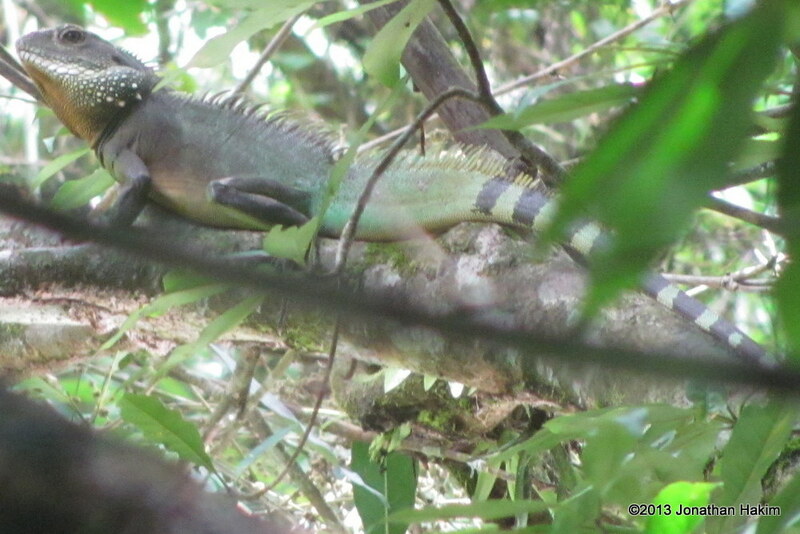 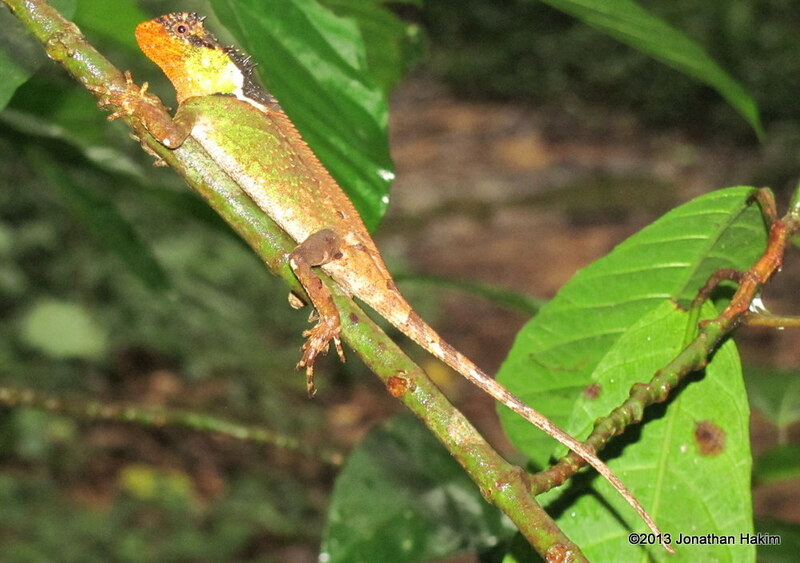 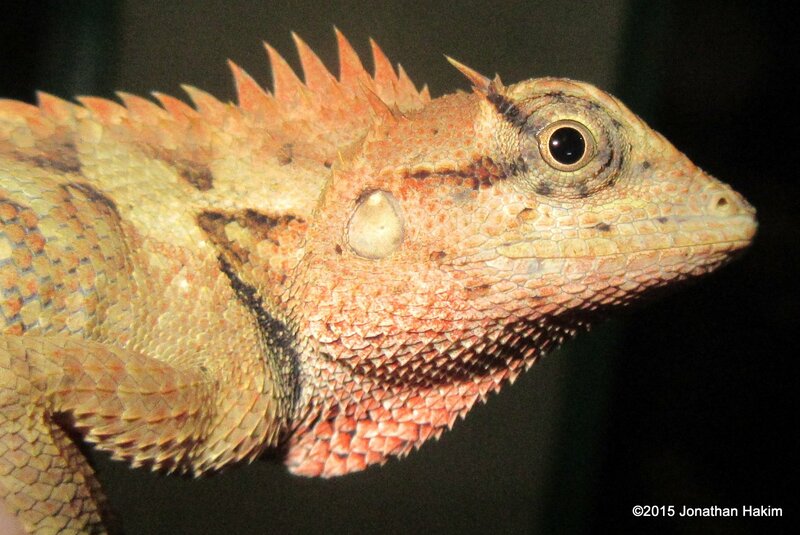 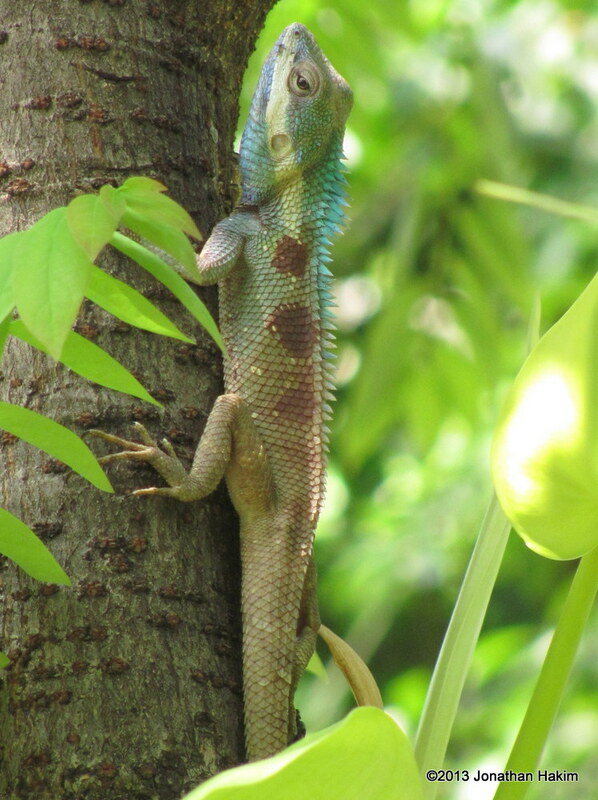 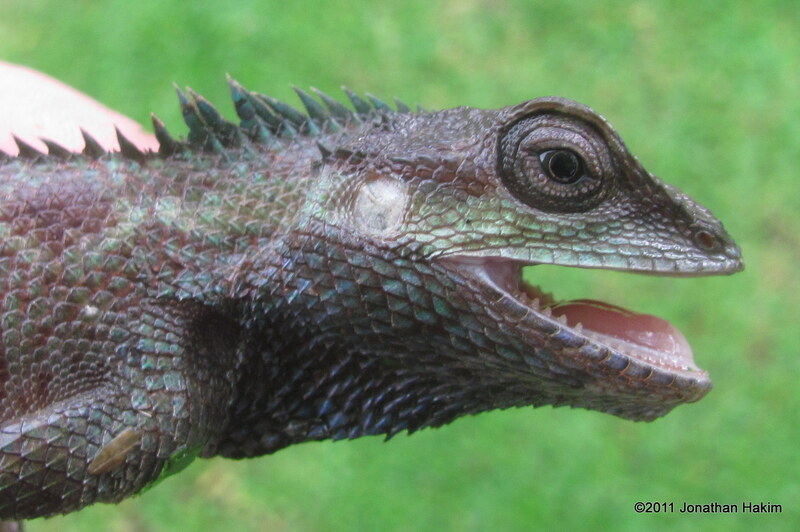 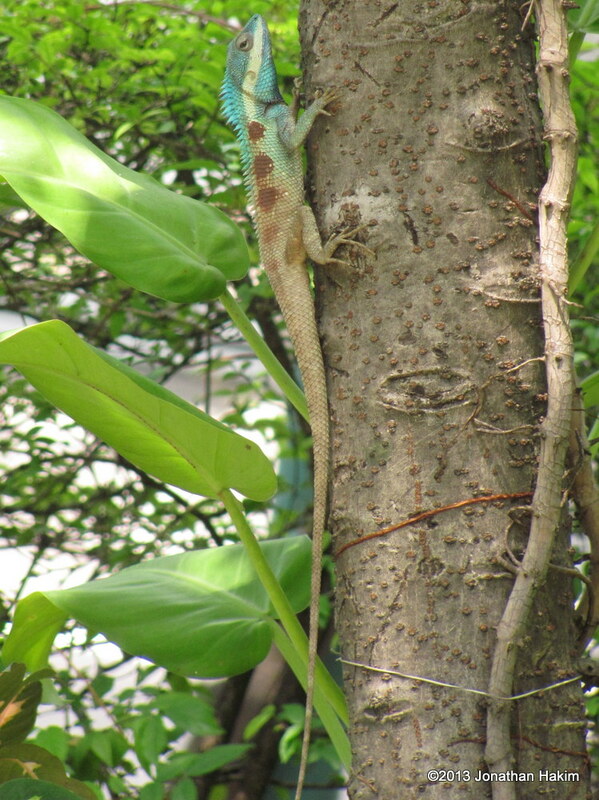 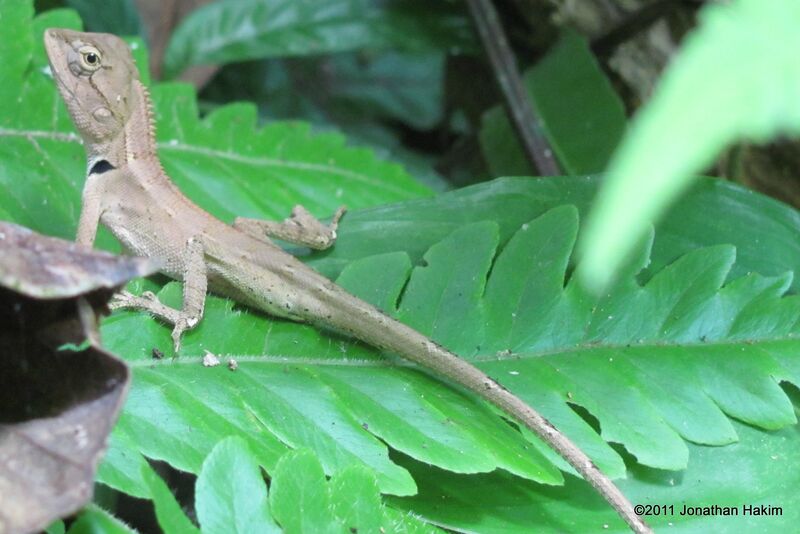 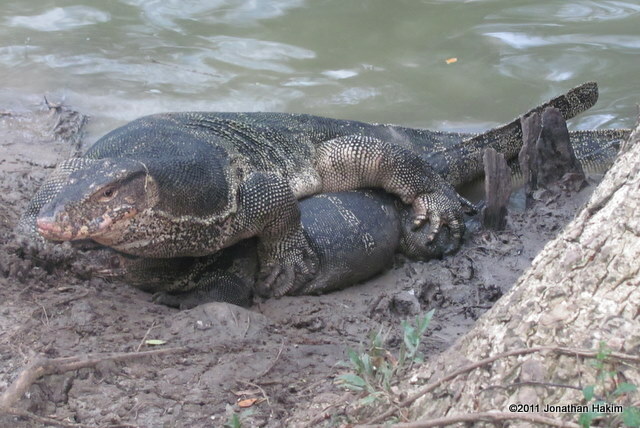 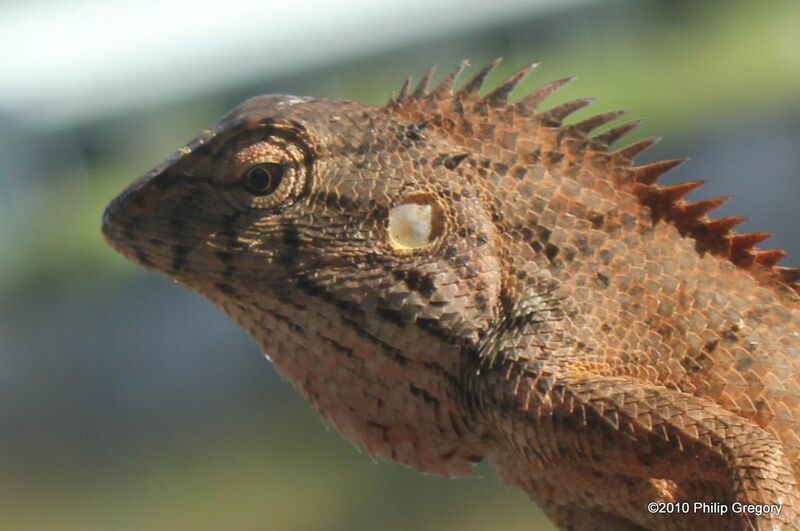 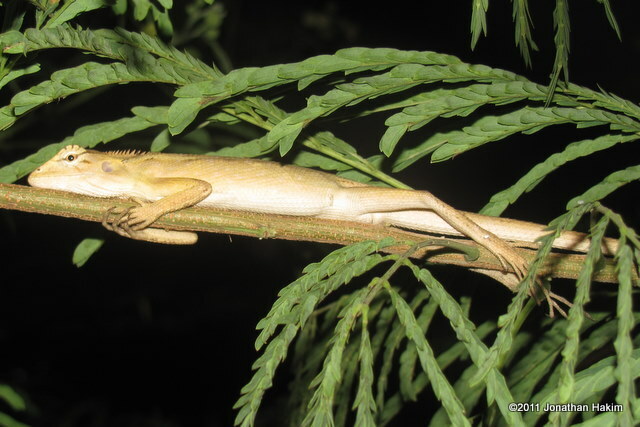 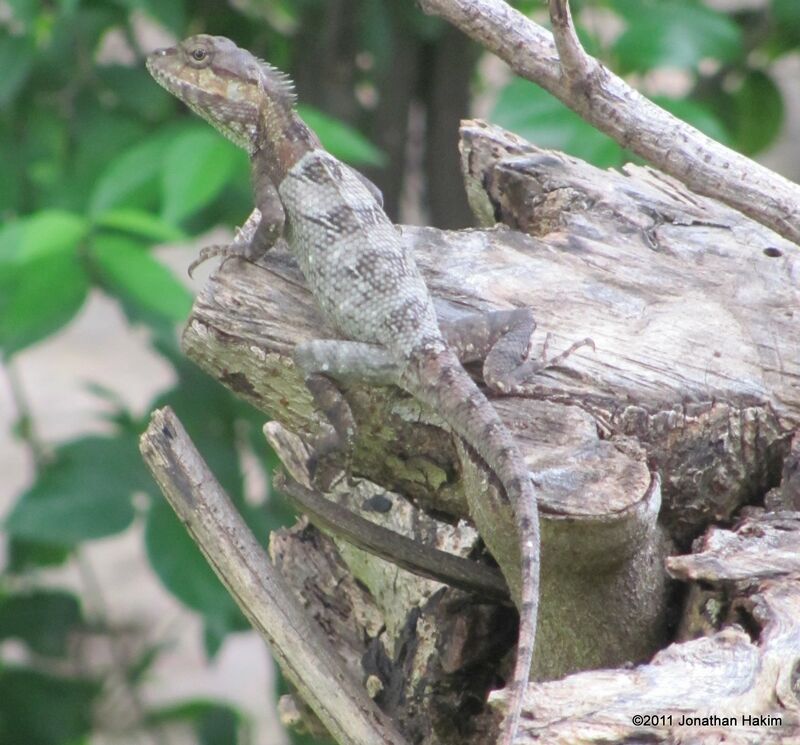 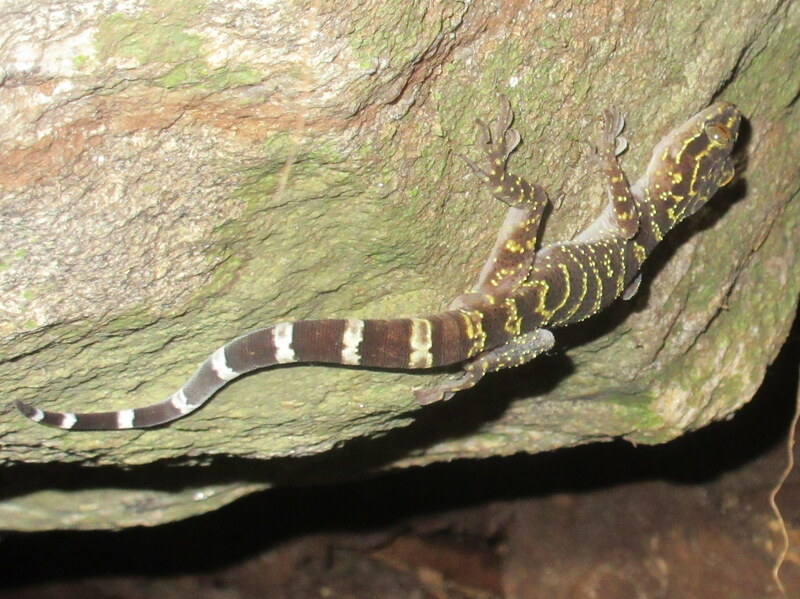 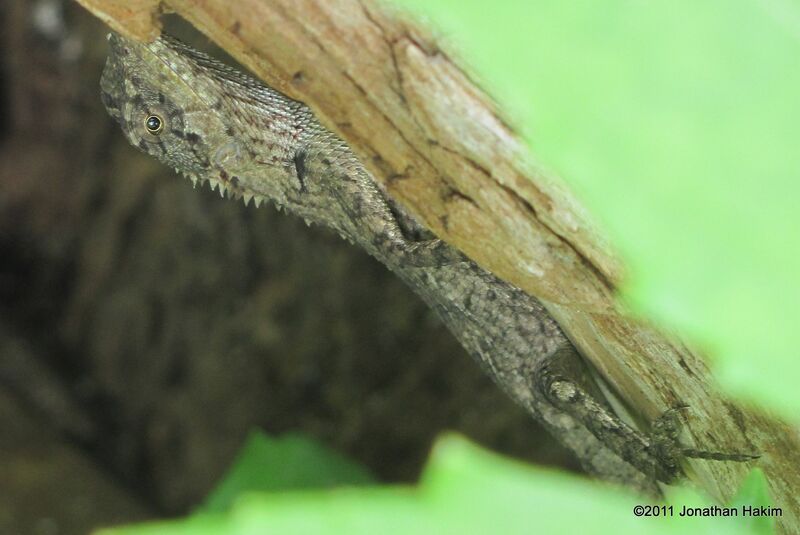 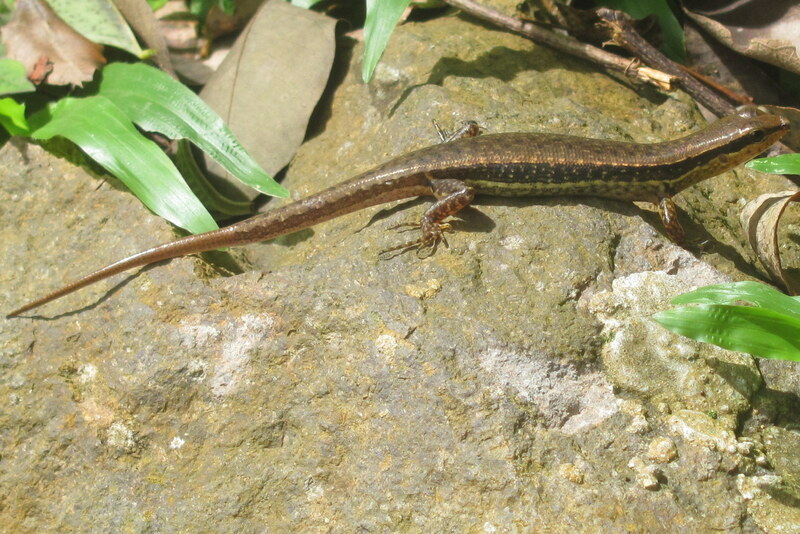 Similar Species: Oriental Garden Lizard has a body that is higher than it is wide, very rough scales, often has a dorsal crest, and lacks the green coloration on the sides. 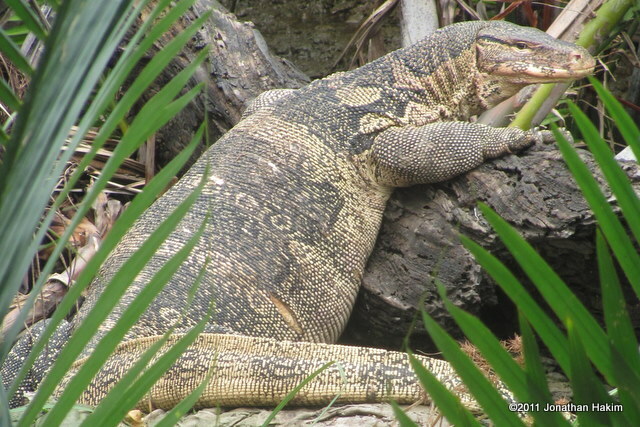 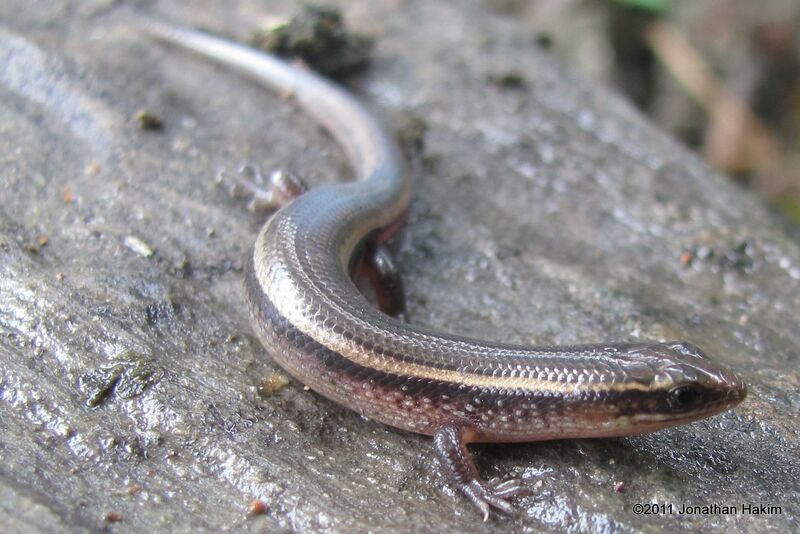 Habitat: This lizard normally lives in grasslands, but can sometimes also be found in forest clearings, forest edges, shrubland, and agricultural land. 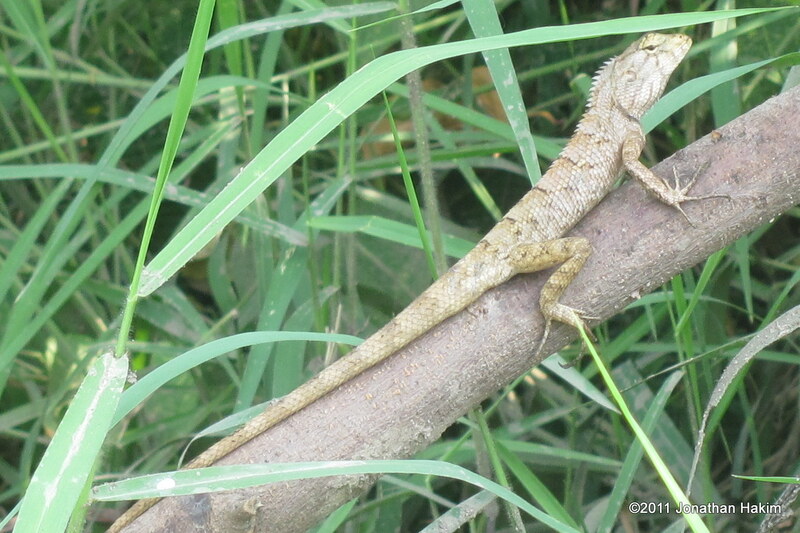 Usually found amongst tall grass, which it often climbs. 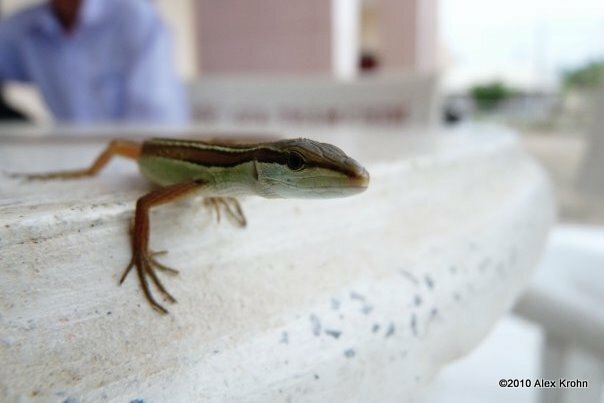 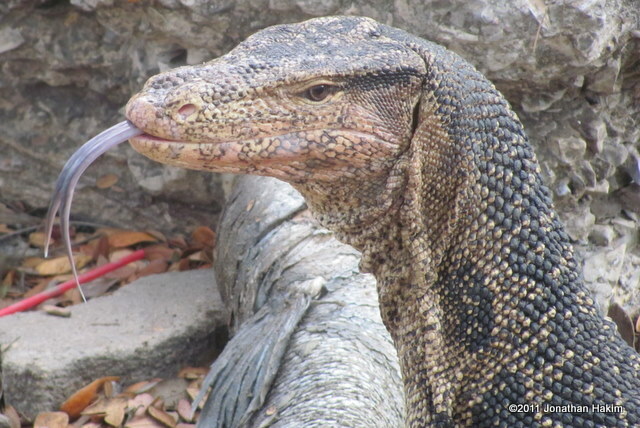 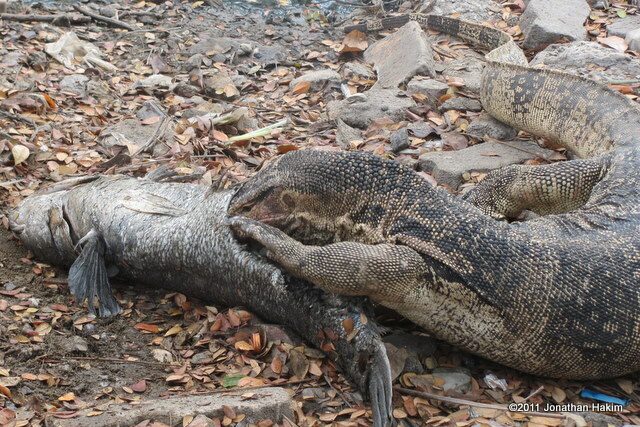 Danger to humans: Though it may attempt to bite when handled, this lizard is far too small to be dangerous to humans. 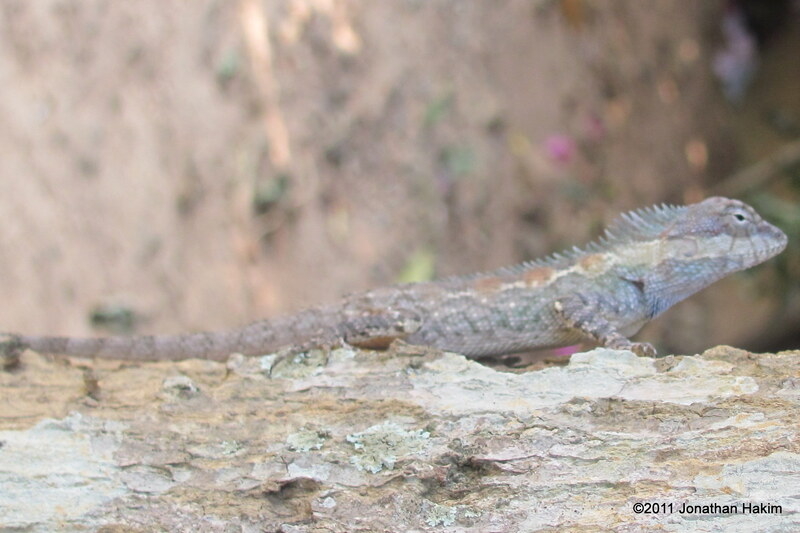 Conservation status and threats: Is a widespread species that can tolerate some human modifications of its environment. 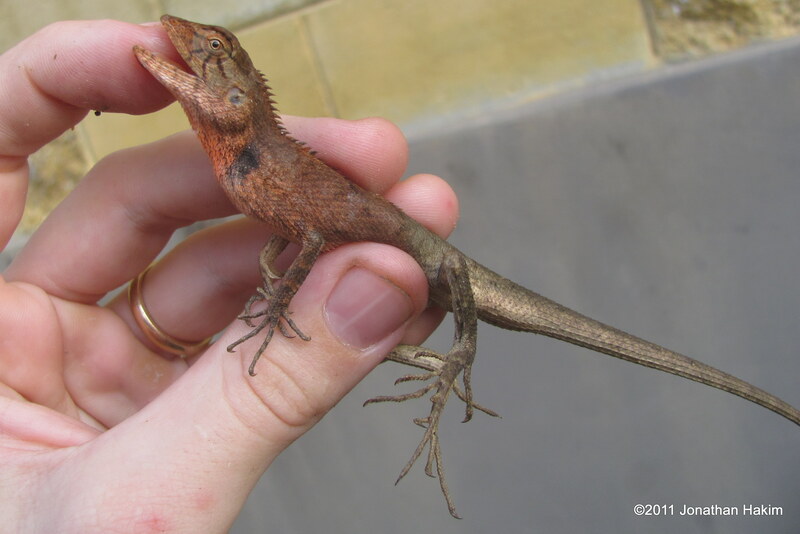 Though it is collected for the pet trade and as a food source for captive Chinese birds, the impacts on its populations are thought to be minimal. 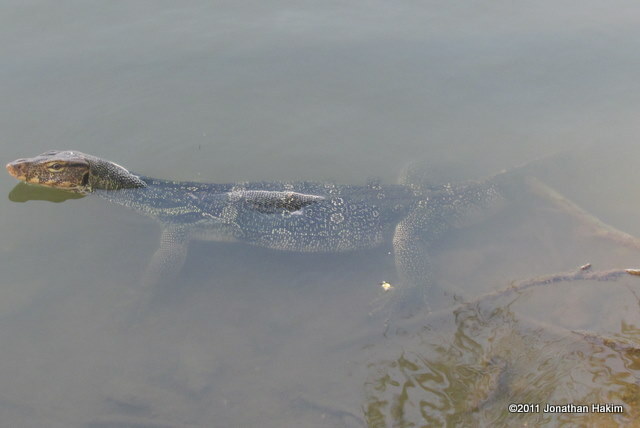 No known conservation issues. 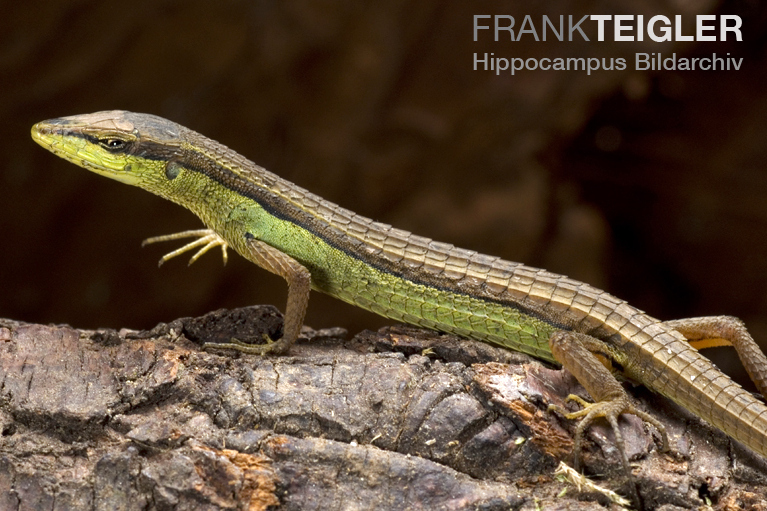 Interesting facts: The long tail of the Long-tailed Grass Lizard is an adaptation to its grassland habitat. 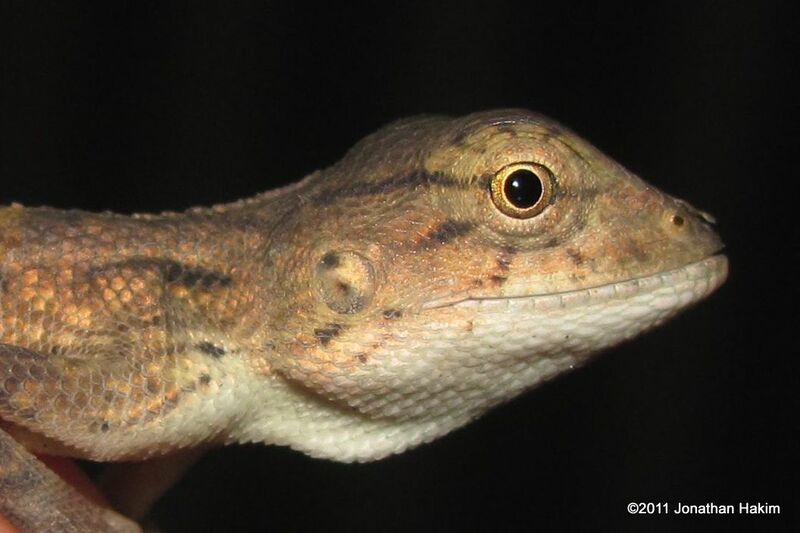 Being able to climb to the tops of grass stalks is an advantage in the grasslands because it allows a lizard to reach the full strength of the sun to bask, as well as putting it out of the reach of some predators and putting more insects within its reach. 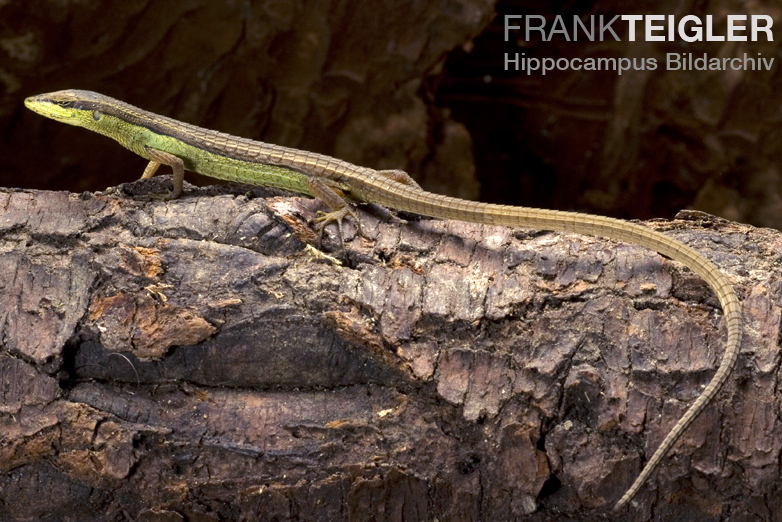 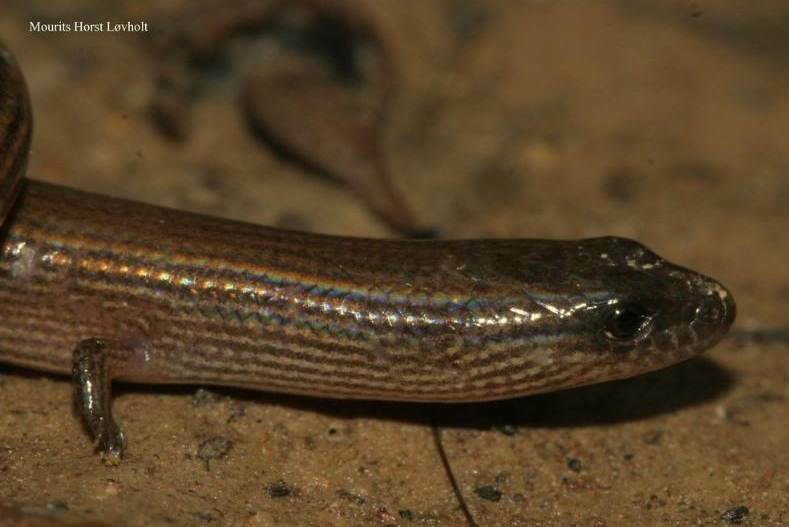 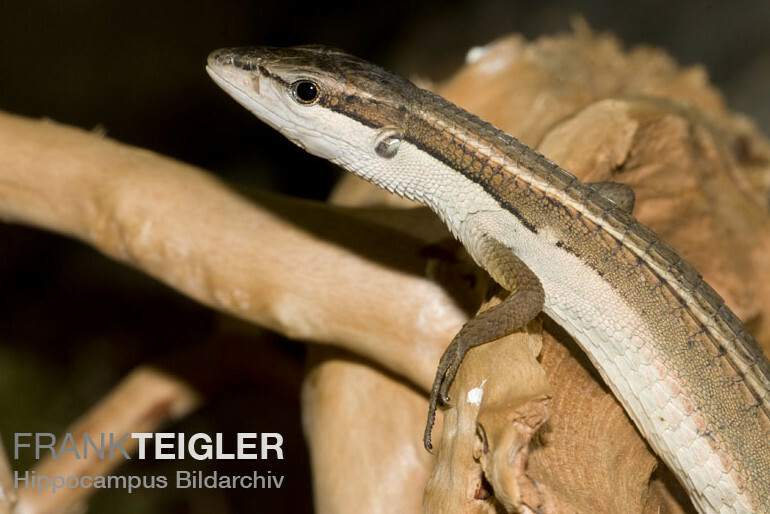 A long slender tail gives the Long-tailed Grass Lizard more points of contact as it climbs though the grass stalks without significantly adding to its weight, thereby improving its support and balance amongst these narrow, lightweight stalks. 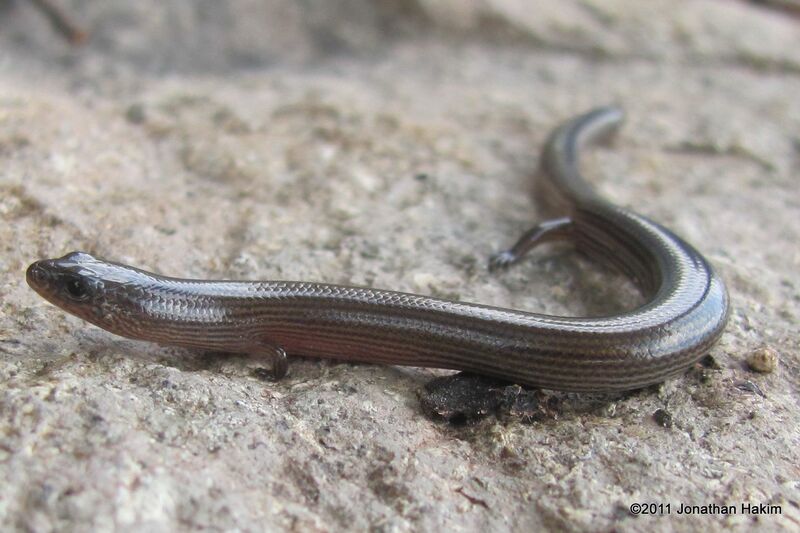 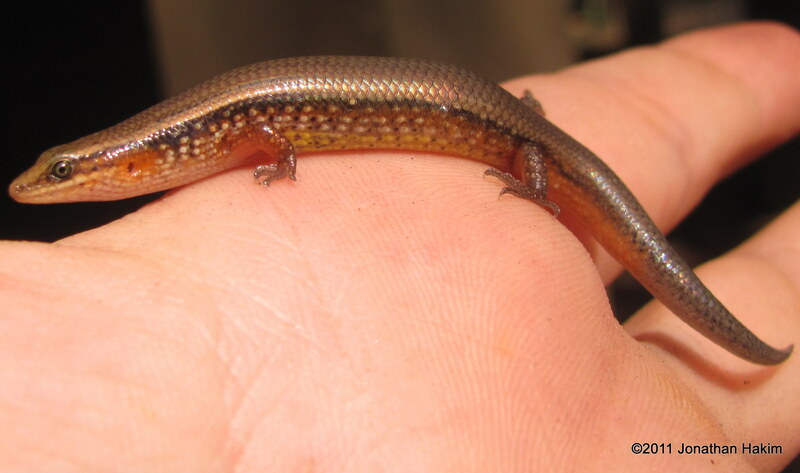 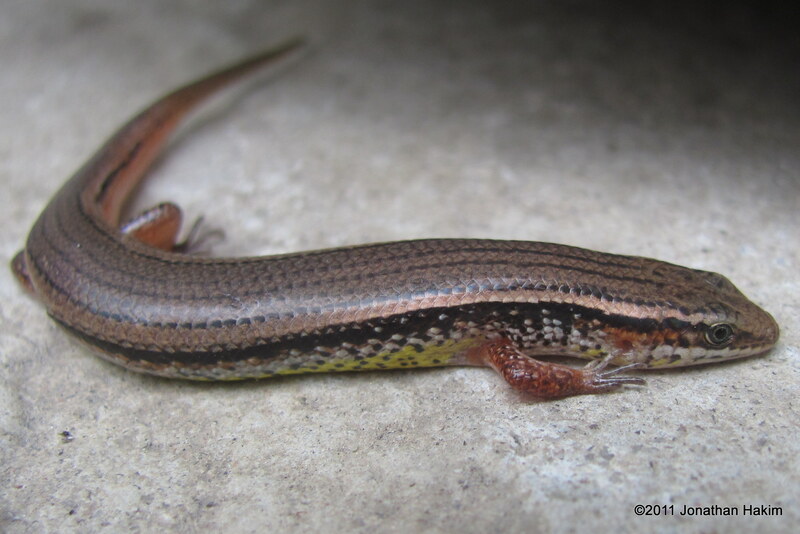 The skinks that share its grassland habitat do not have the same lightweight body and extremely long tail, and thus are restricted to finding sunlight in clearings and hunting insects on the ground. 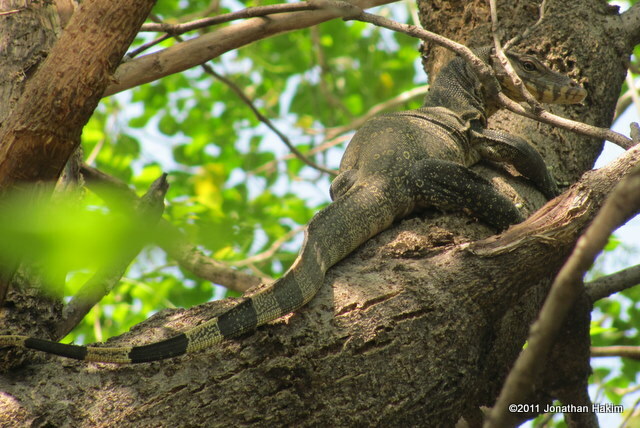 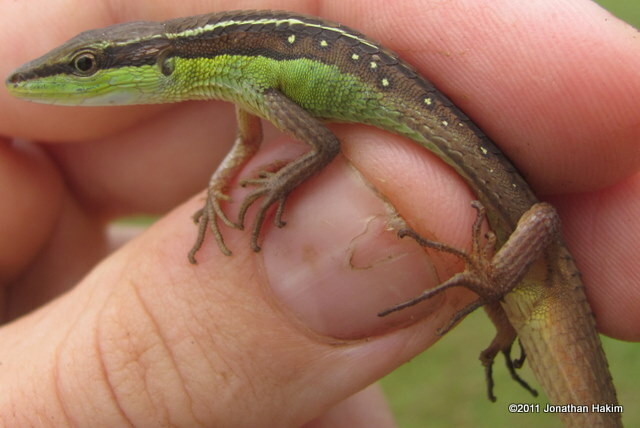 The long tail also distributes the lizard’s weight more effectively when it jumps from grass stalk to grass stalk, thereby enabling it to quickly and efficiently move through the grass and flee from predators. 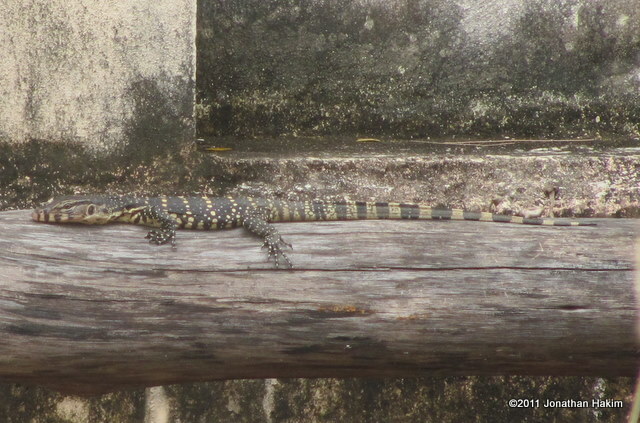 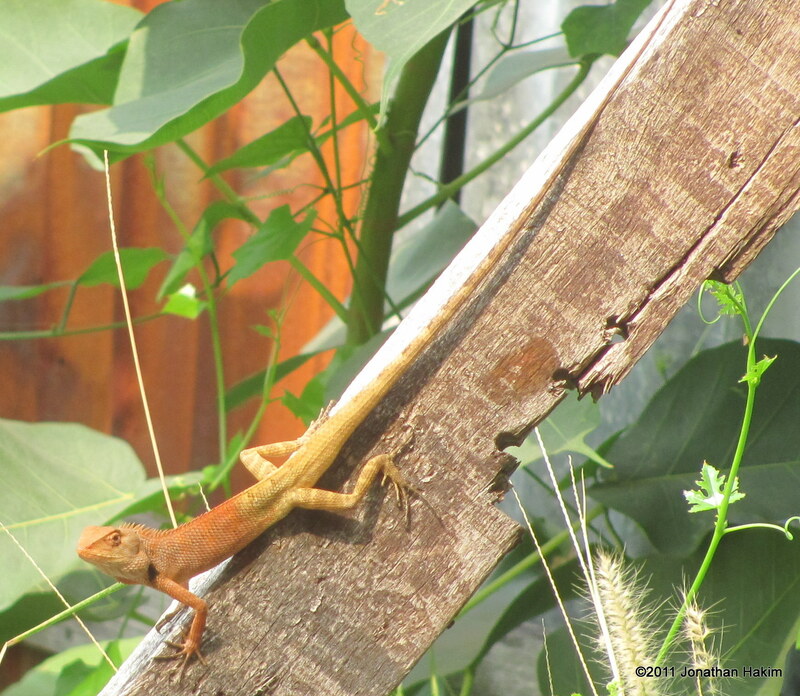 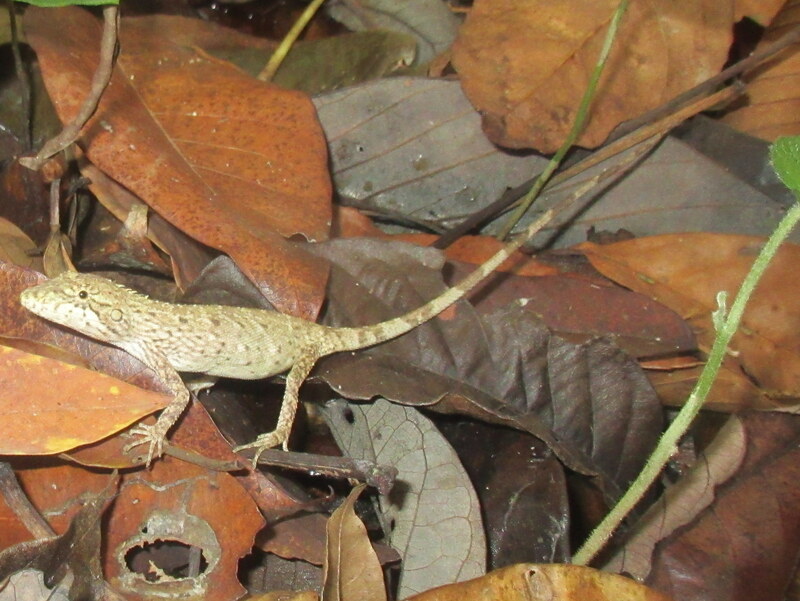 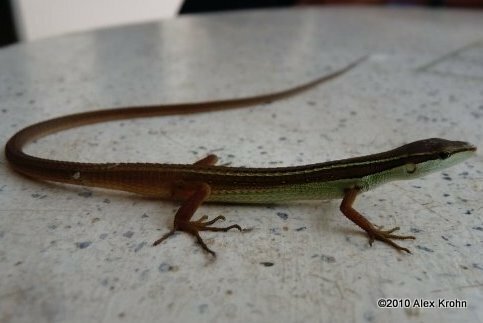 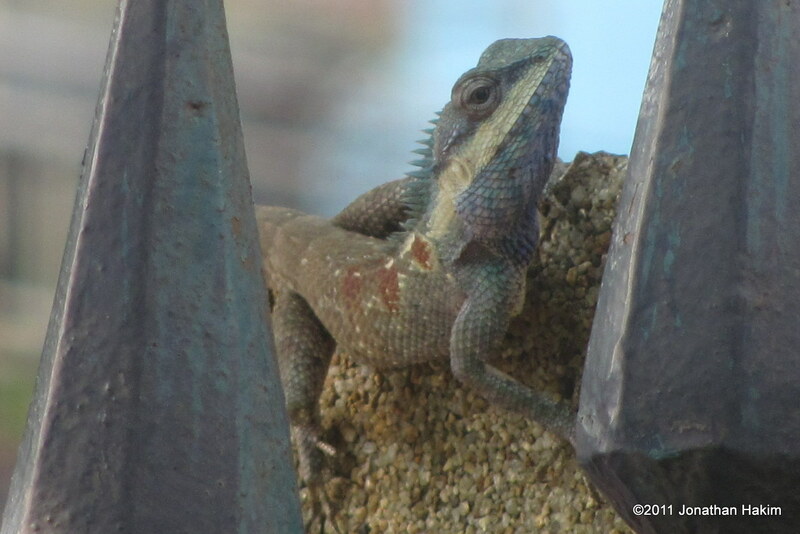 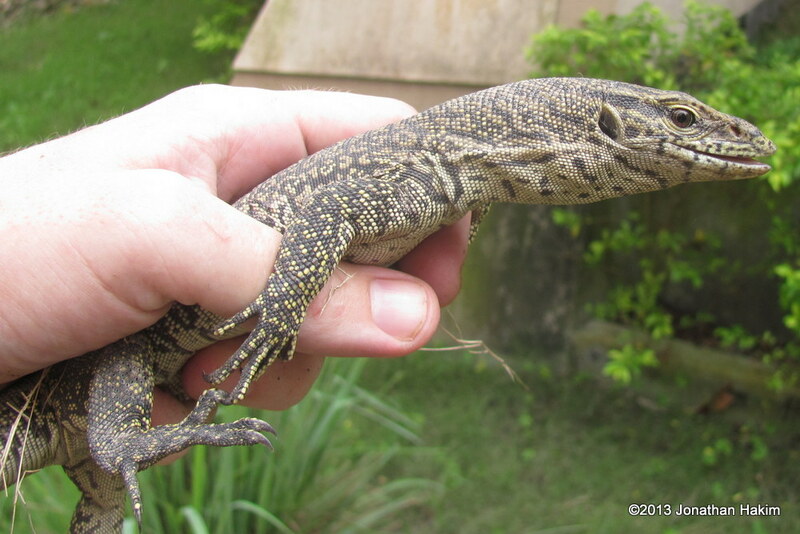 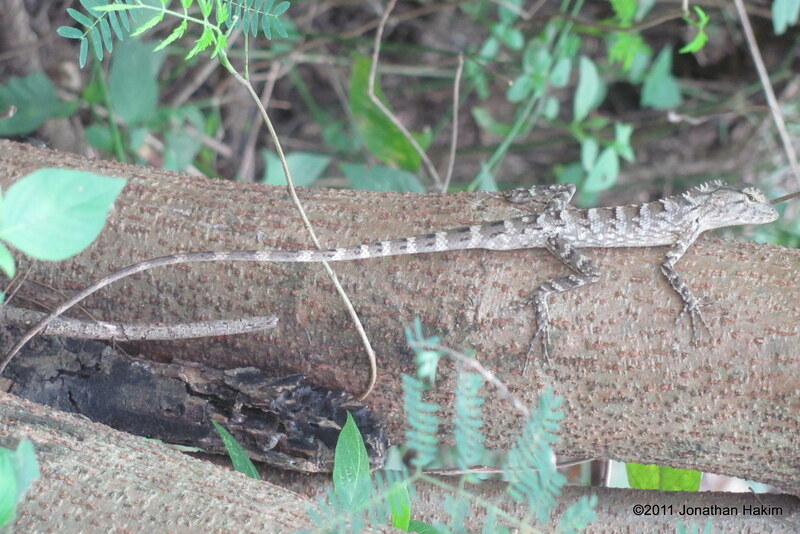 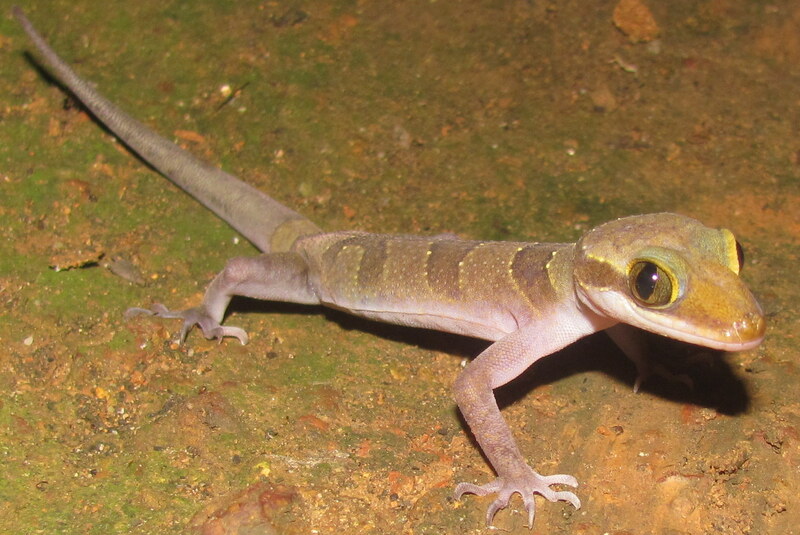 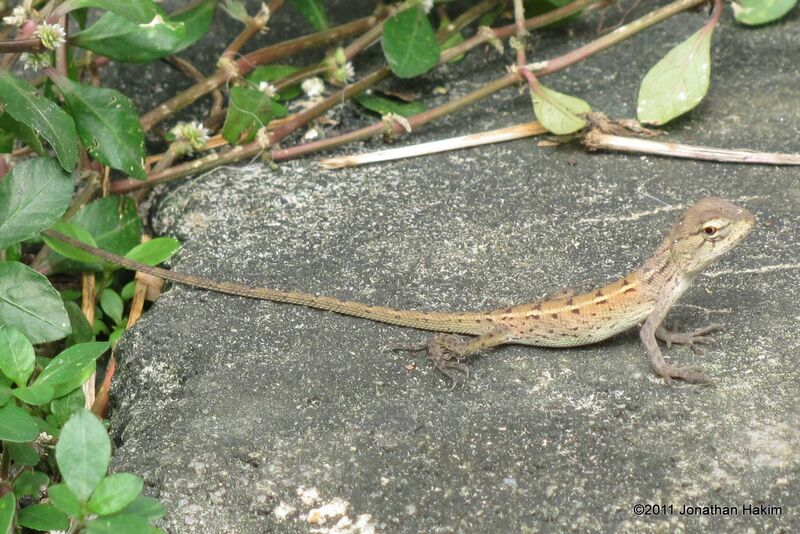 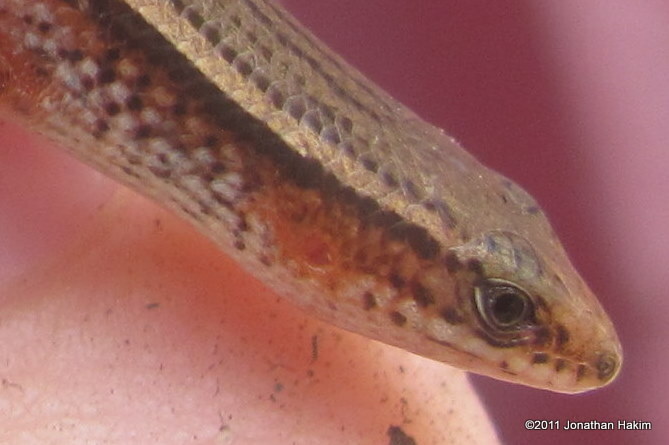 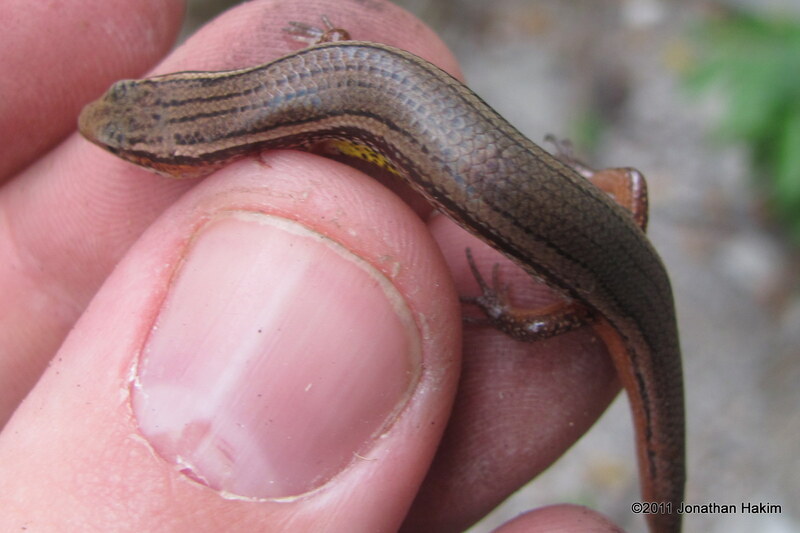 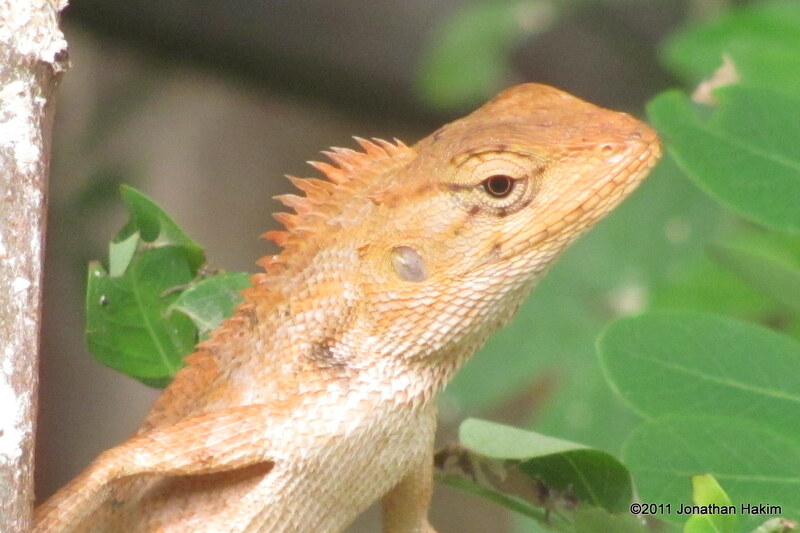 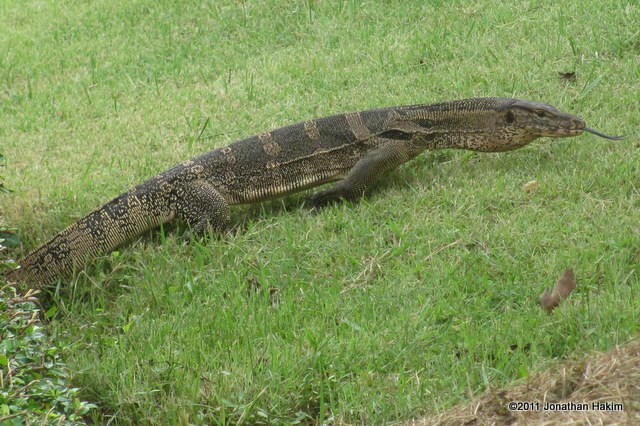 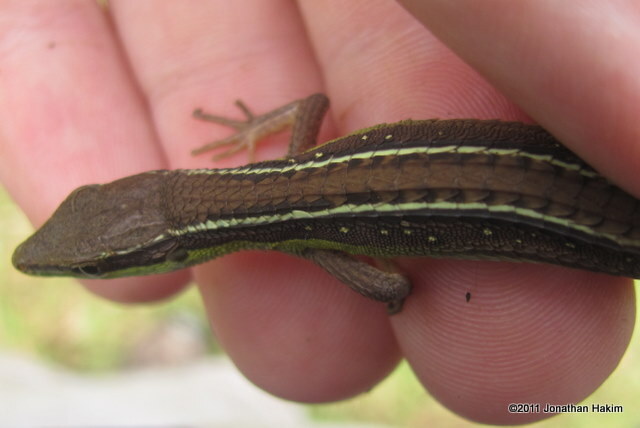 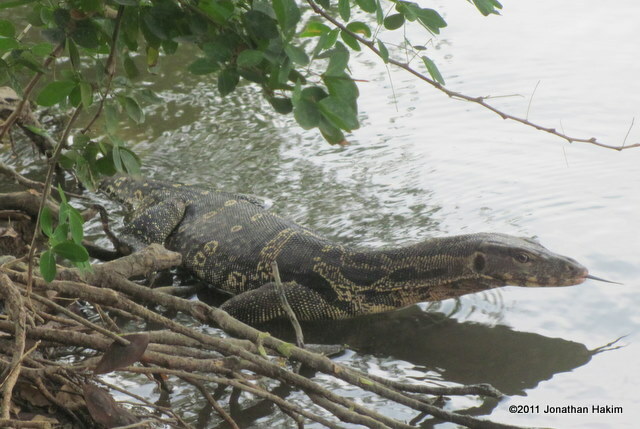 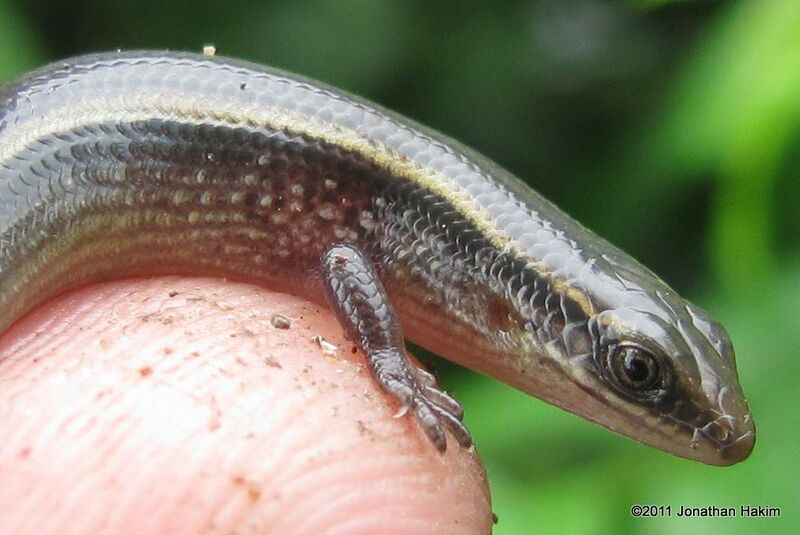 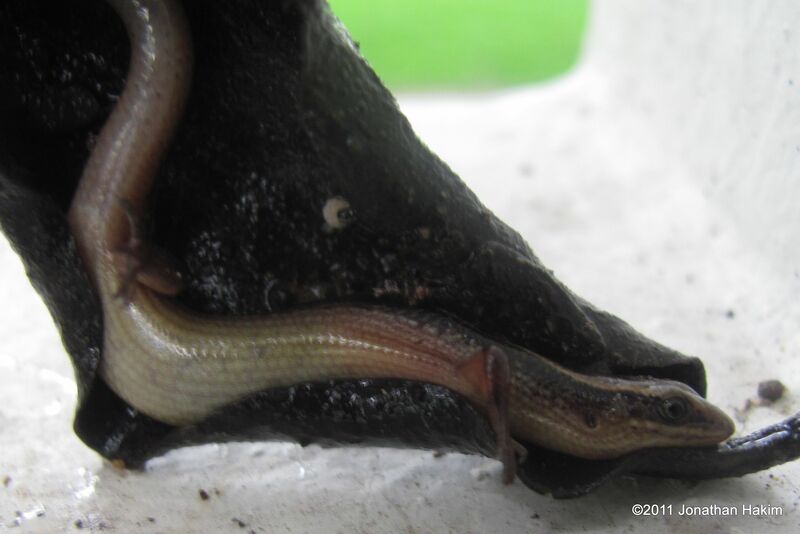 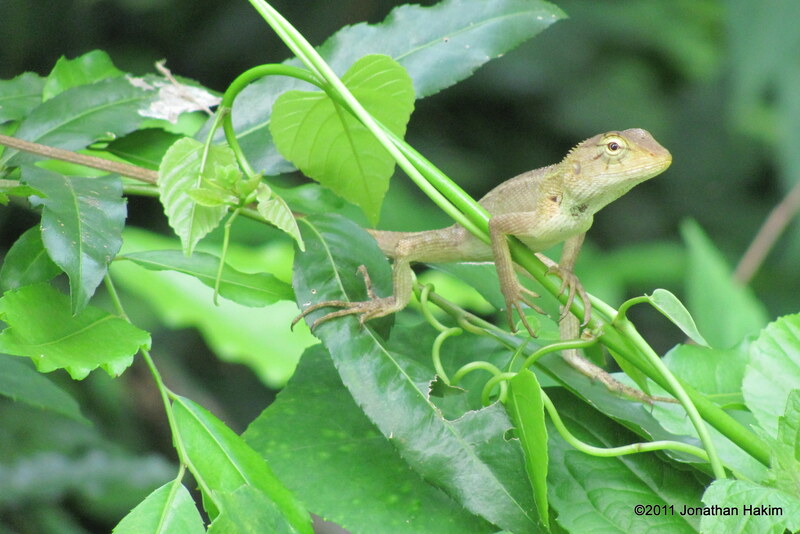 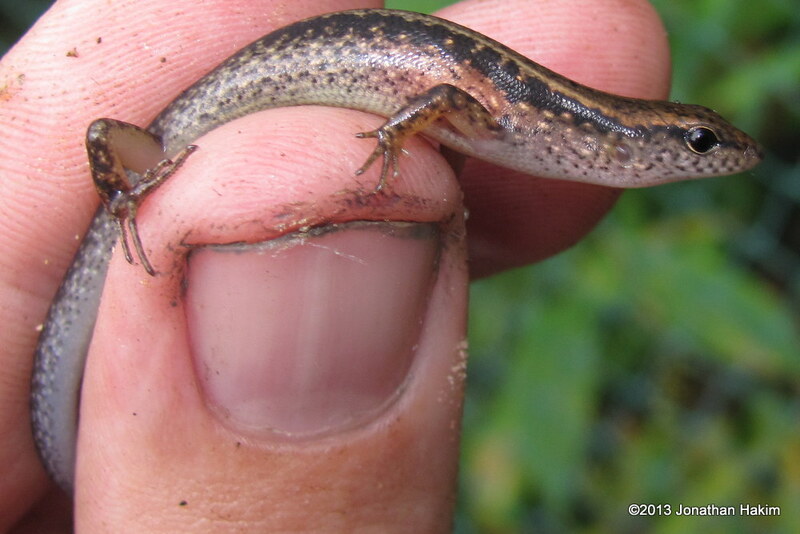 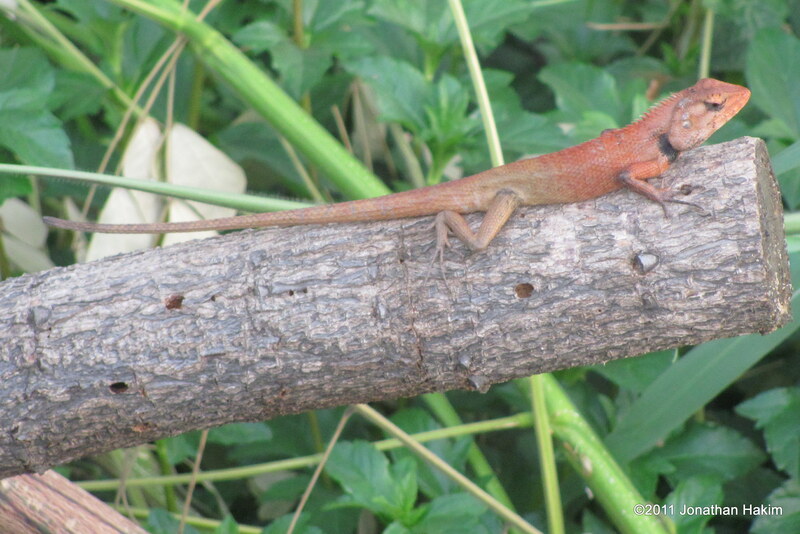 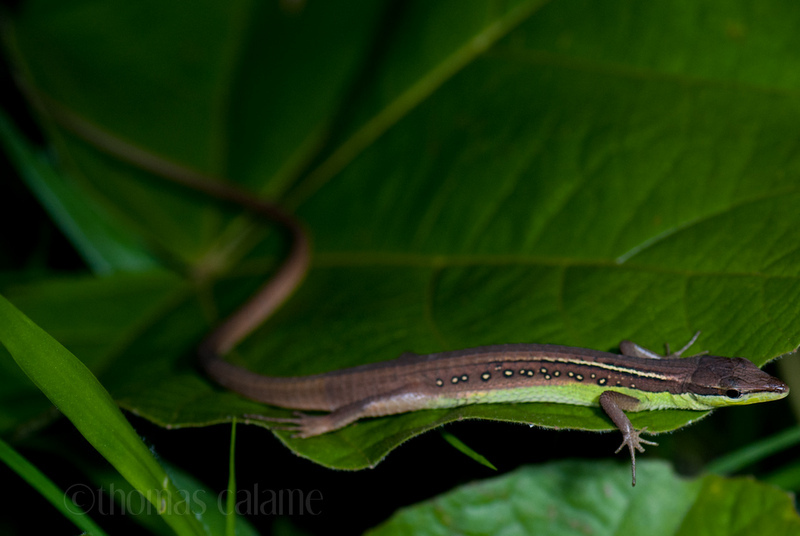 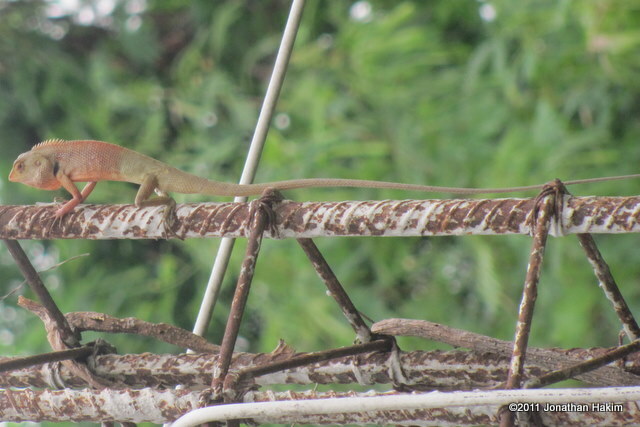 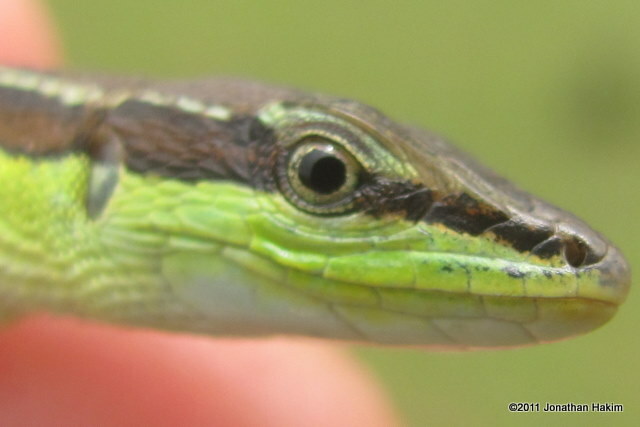 I know of no records of Long-tailed Grass Lizards in the Bangkok area. 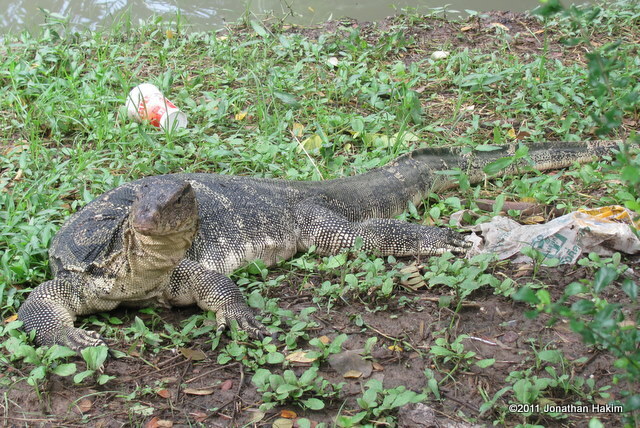 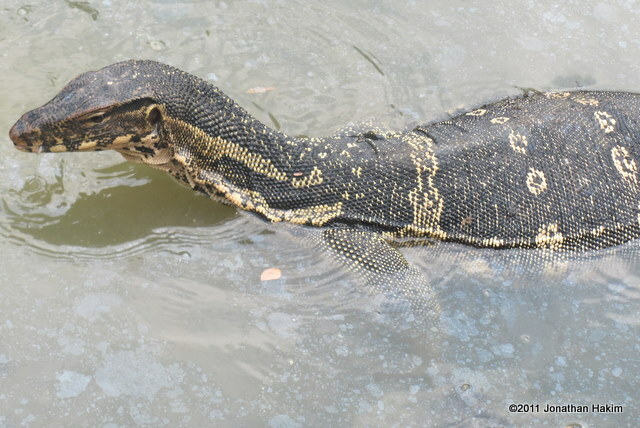 However, they are found in adjacent parts of Thailand and it is possible that they could be found in Bangkok in the right habitat.